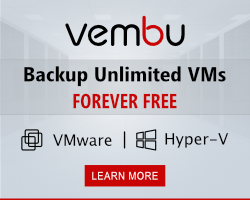 A Quick blog about an issues that you might encounter when dealing with printer drivers in a SBC/VDI environment. 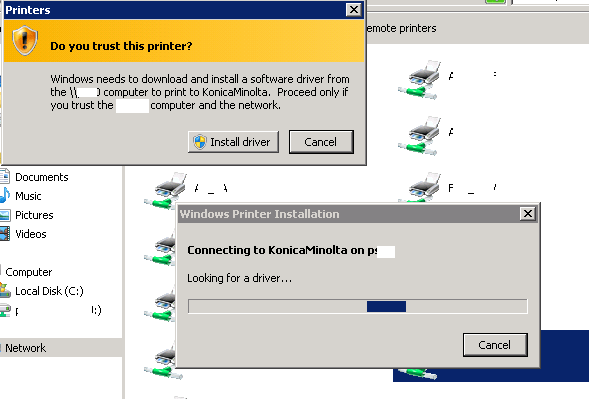 Currently we are building a new Citrix XenApp 7.5 environment for our customer and like in all project at some point you add the printer drivers. We also added them here and with our initial logon we came accross this message with our test user. 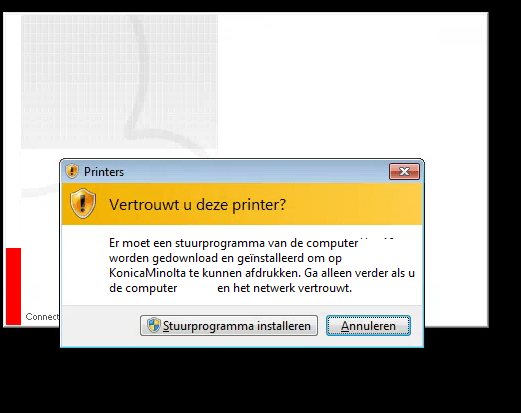 Do you trust this printer it says (sure all of you can read Dutch but to make sure I’ll translate it). I went to the server and checked if the driver got installed. 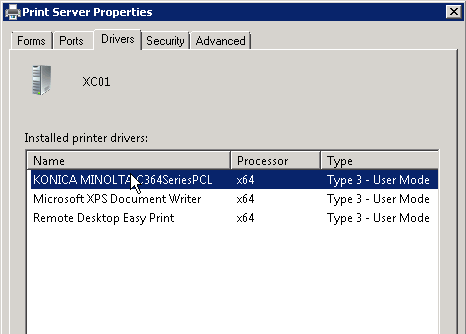 In the screenshot below you can see that the Minolta driver is in fact installed, it’s the x64 version and it’s type 3 user mode. I used a powershell script to deploy the drivers on all server because I didn’t want to redeploy just for one driver. This is all pretty basic so I went to the server and did a manual check. the result was the same, so I could excluded RES Workspace manager and Citrix it was surely a Microsoft thing. To solve this issue you have to set a group policy and disable point and print restrictions. Once you disabled that the trust warning isn’t displayed any more. Another option is to allow it and set the specific domain or forest. Here I decided to disable it for I will take care of the drivers and users don’t need to install drivers themselves. Hope this will help you guys when you run into this.